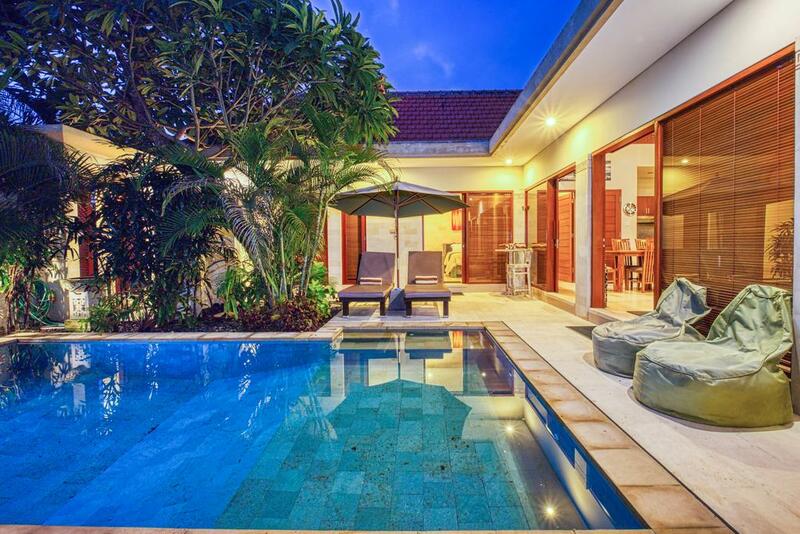 The villa are situated in the southern end of Sanur. 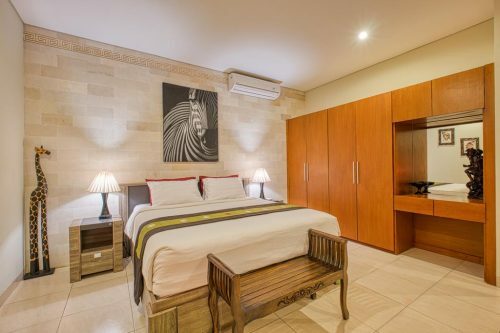 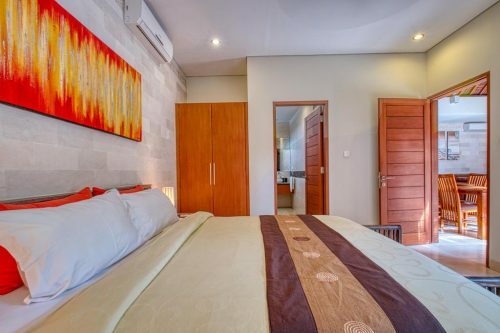 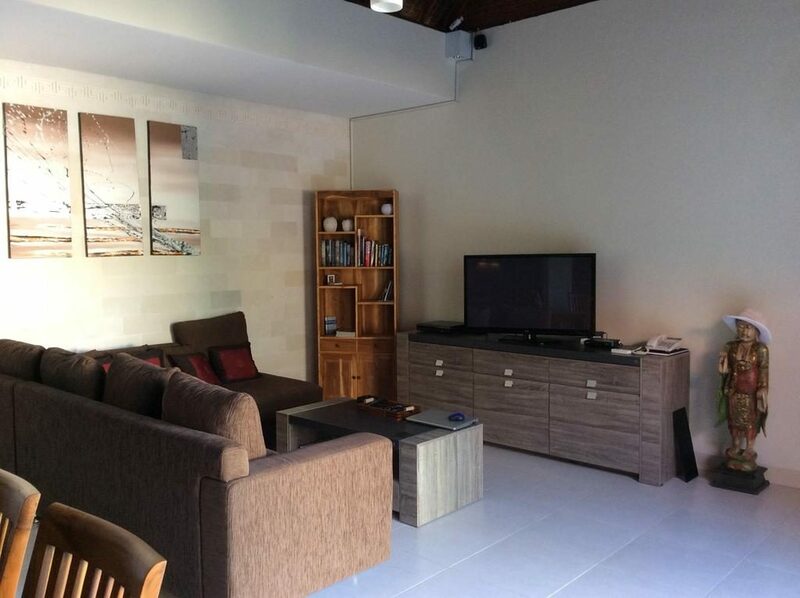 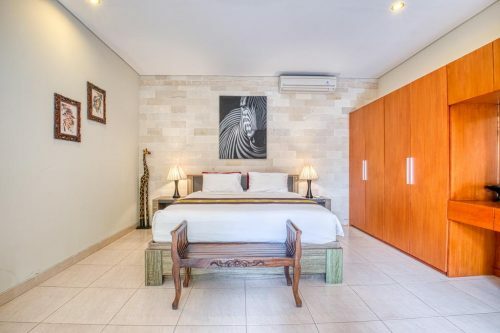 This has been furnished in the very best quality furnishings and decor from around Bali. 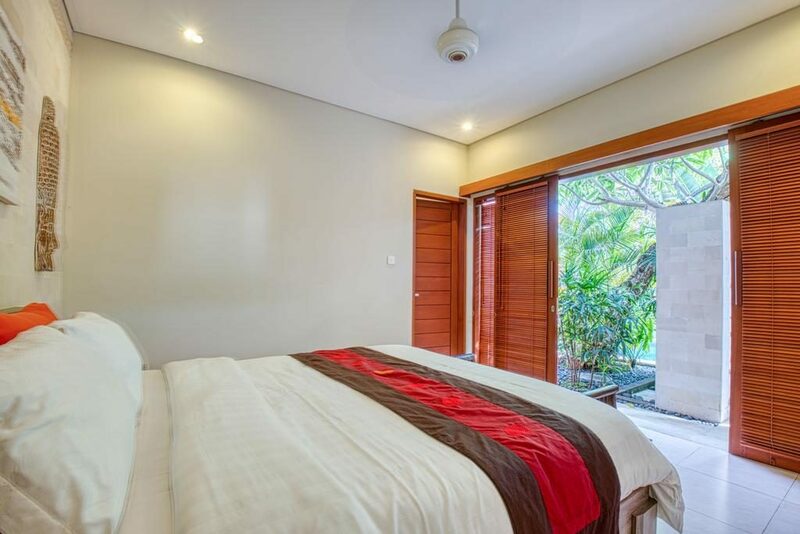 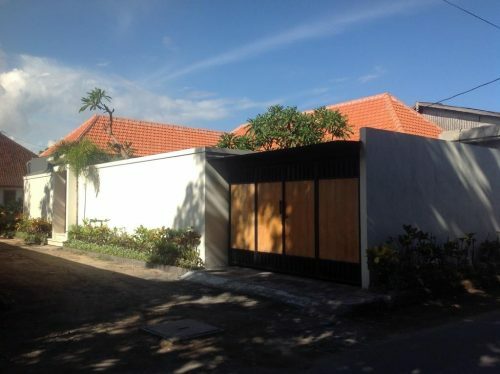 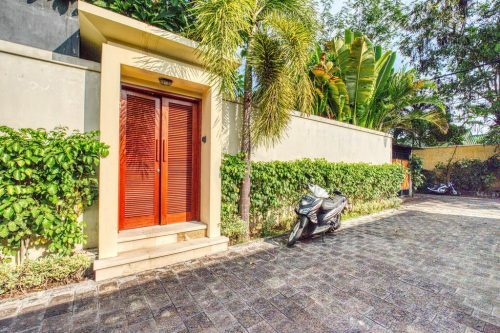 3 bedroom villa in the heart of Sanur. 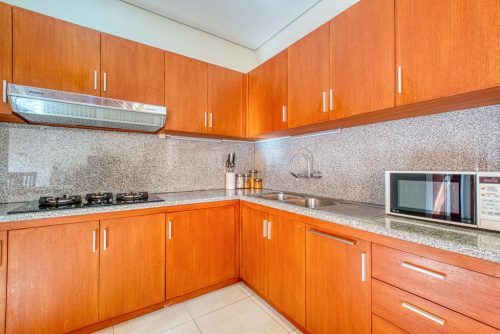 Close to shops, beach, restaurants , salons, supermarkets..
Each of the bedrooms is very spacious, air conditioned and has the very best in linens and lighting. 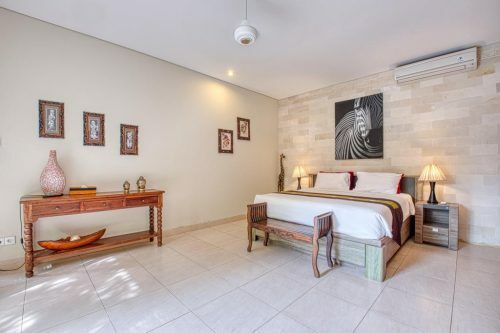 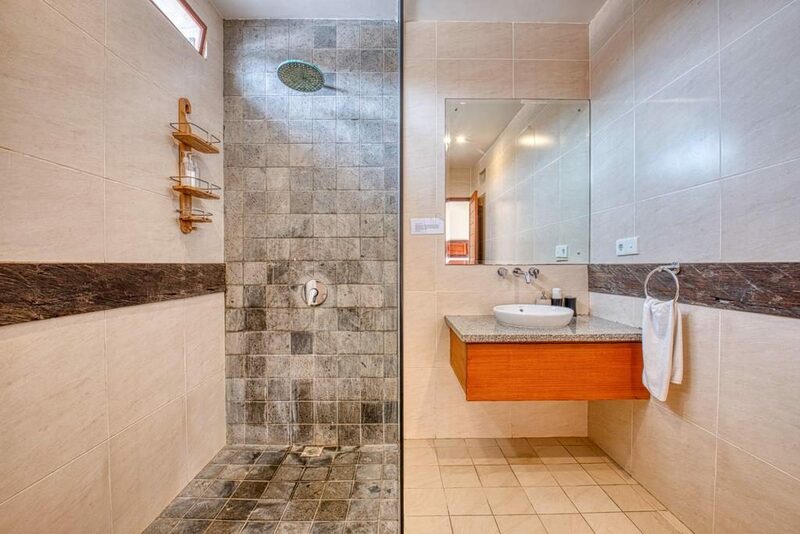 The ensuite bathrooms are a delight and reflect the amazing stonework and craftsmanship available in Bali. In the villa there are 3 spacious bedrooms which will accommodate 6 people. 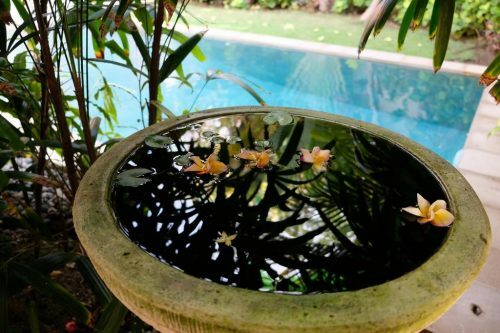 You will enjoy the gorgeous sparkling pool and tropical Balinese gardens. 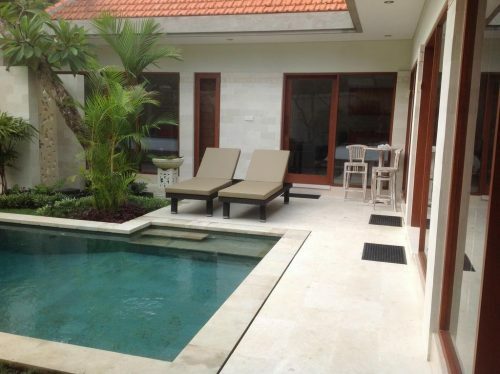 There are pool loungers there for your comfort. 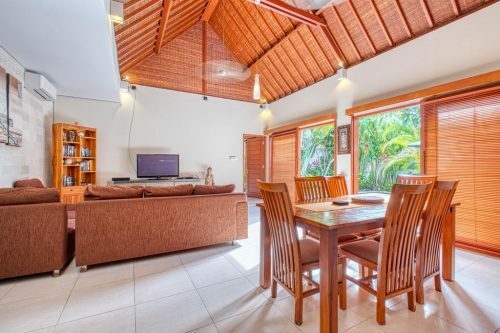 The large plasma TV, free wifi and cable networks ensure you are always in touch with family and friends as well as enjoying the luxury of the privacy of your own villa. 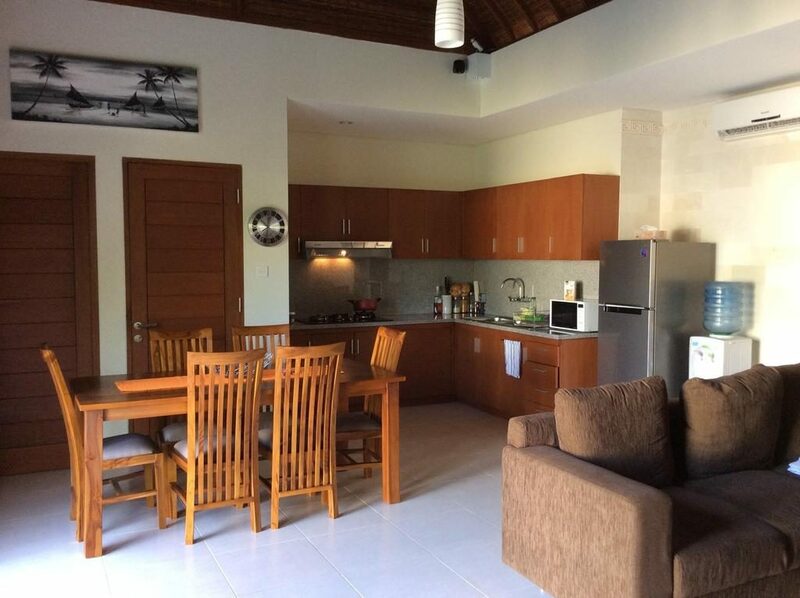 The shops, restaurants and salons are only a short walk and the beachfront is around a 15 minute walk from the villa. 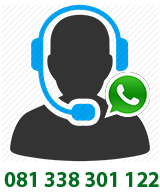 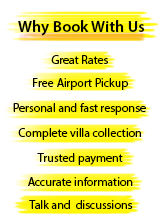 You are able to hire a car or motor bike of your trip or a bicycle if you wish. 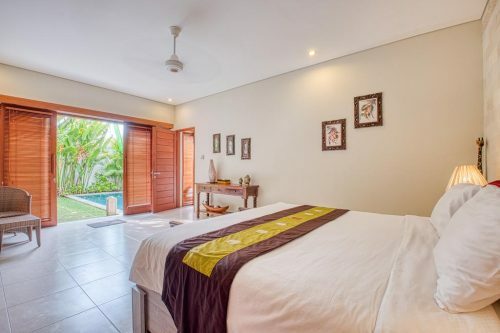 There is a full maid service 6 days a week and Ketut will make sure your villa is serviced and cleaned each day. She can also cook Indonesian food for a small extra cost if you wish. 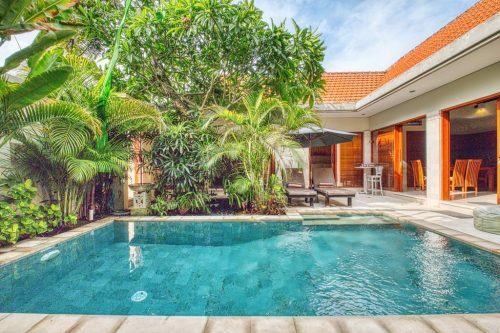 There is pool staff and garden staff who maintain the villa during your stay and make sure everything is just right for your holiday. You will book or inquire about the availability of Villa Sanur BVI11200 .